I ended up baking with a smaller amount of mixture than usual this time and went with 30:60:90 grams for the main ingredients. 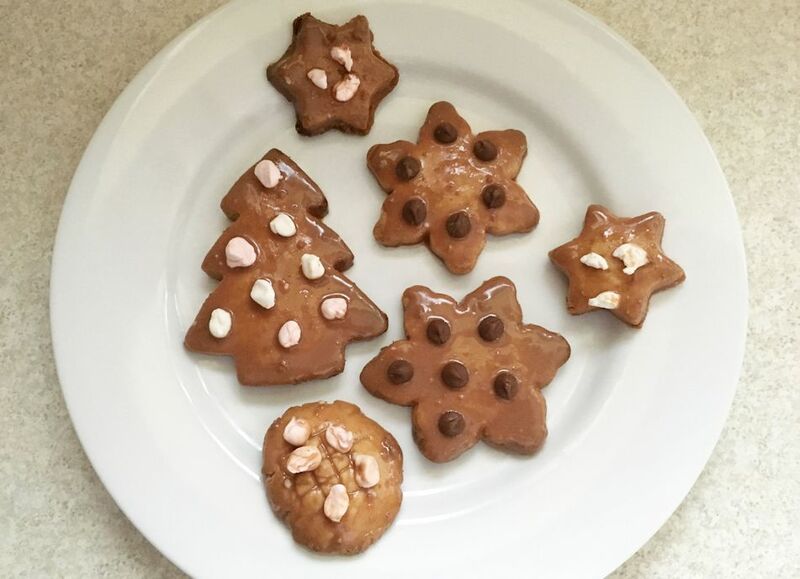 Once I mixed the sugar and butter together and added the flour I then rolled the mixture with my hands and flattened it onto a plate to cut it into shapes. I used a couple of cookie cutters for this (except for the last bit of mixture which I just flattened into an oval sort of shape). 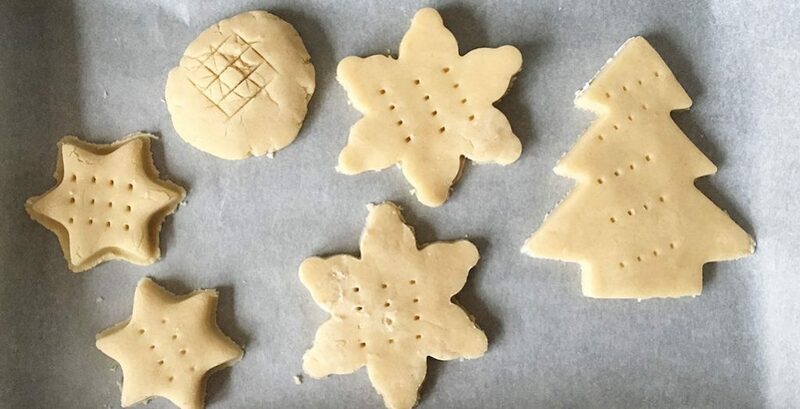 I used a knife and fork to make the patterns in the shortbread, a fork for the dots and a knife to make the lined pattern. I placed them onto a piece of greaseproof paper on a baking tray to put in the oven. Preheat the oven and bake them on 190c for approx 15 minutes. 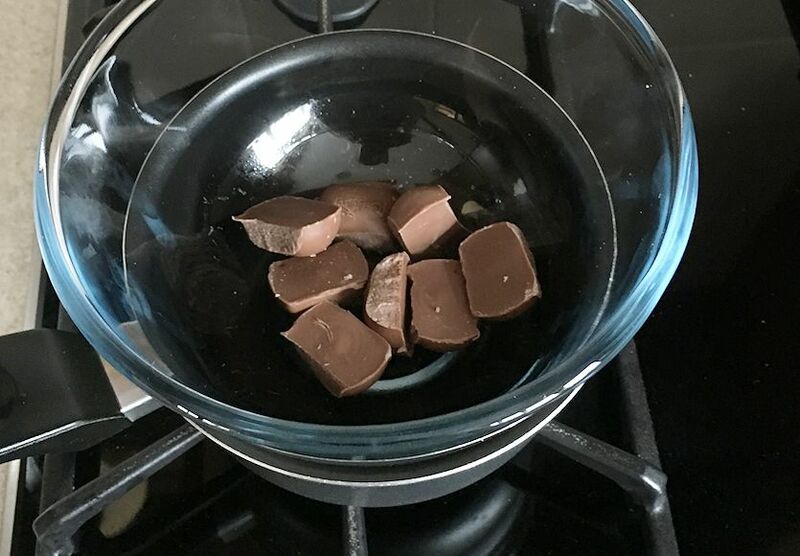 After melting the chocolate in a bowl over a saucepan of water on the hob, I transferred it into the icing I’d already started mixing. Once it was mixed together I started adding it onto the shortbread. 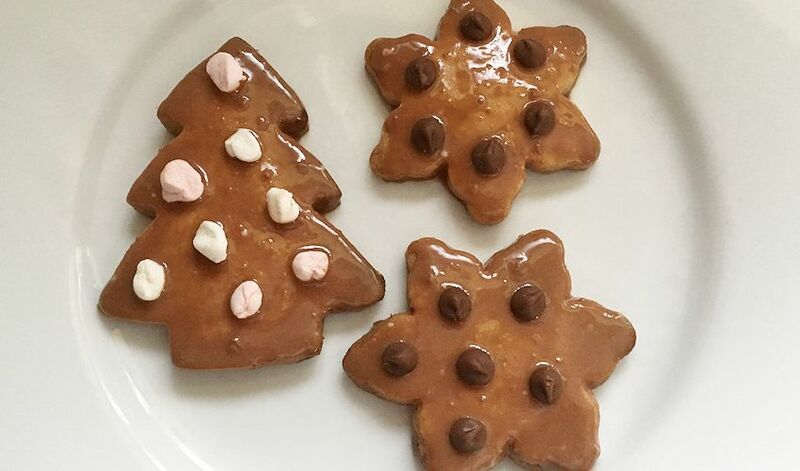 I added pieces of mini marshmallows on four of the shortbread and chocolate chips on the other two. 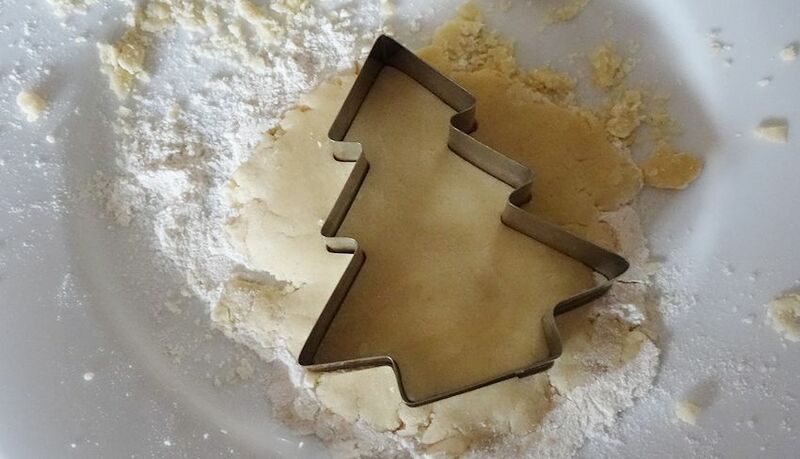 Are you baking anything in the run up to Christmas this year?